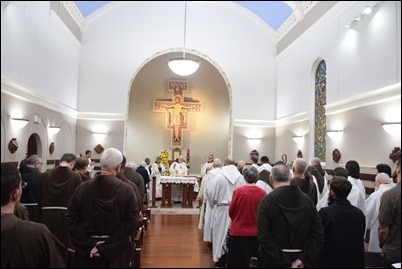 Last Friday, Capuchin College, our house of formation in Washington, marked its 100th anniversary, and I was asked to celebrate the Jubilee Mass. 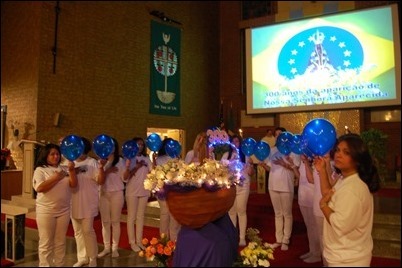 There were about 70 members of my province gathered for the celebration. 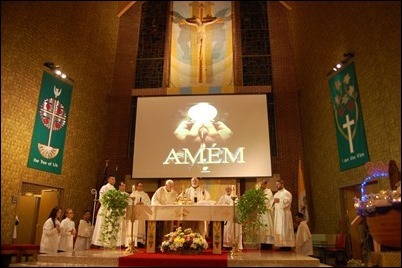 When I was a student there, there were many religious orders that had formation houses around The Catholic University of America. 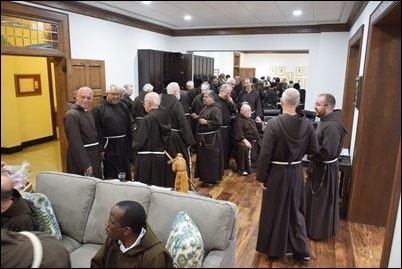 Today, the only two major communities that still remain are the Dominicans and the Capuchins. 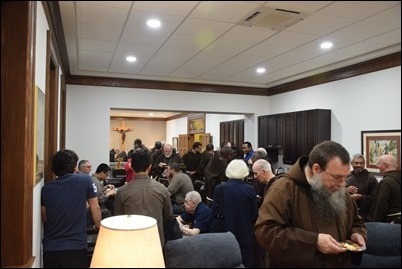 So, it’s quite a different campus than it once was, but Capuchin College is a community that has contributed so much to the life and ministry of the Capuchins of our province and the other provinces who have come to study there. There is a great affection for the college. 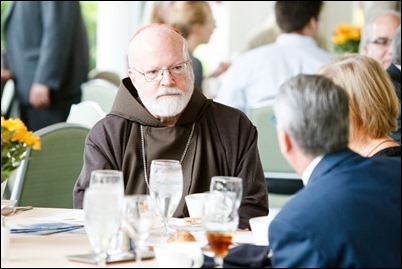 Since my time at Capuchin College, I think eight of the graduates have been named bishops, mostly in the missions. 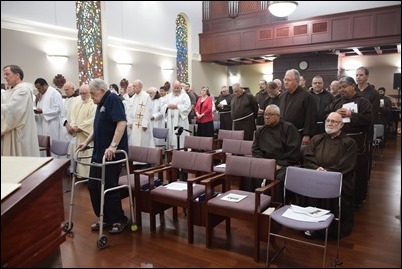 The celebration was a wonderful opportunity to acknowledge the work of many of the Friars who helped to build up this community. 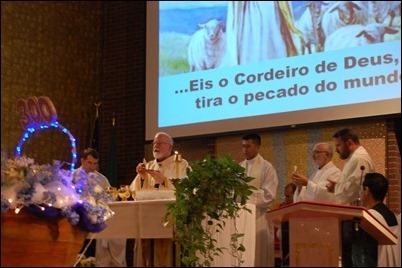 Saturday, I went to St. Tarcisius Parish in Framingham to celebrate the 25th anniversary of the establishment of the Brazilian community there, as well as the 300th anniversary of Our Lady of Aparecida. 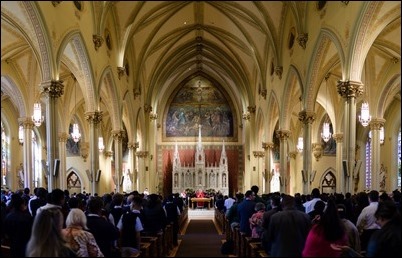 It was standing room only in the church for the Mass, which began with a beautiful procession of the statue of Our Lady. 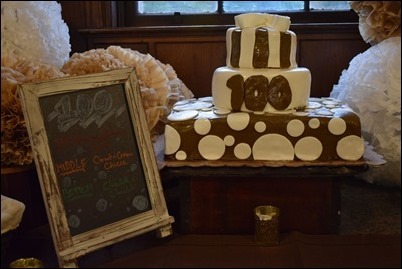 Afterwards, I was very happy to join the parish for their banquet in the parish hall. 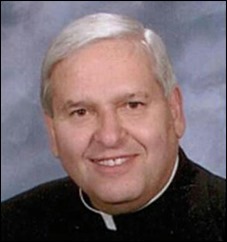 We’re very grateful to Father Volmar Scaravelli and all the Scalabrinian Fathers and Sisters who have done such wonderful work in the community. 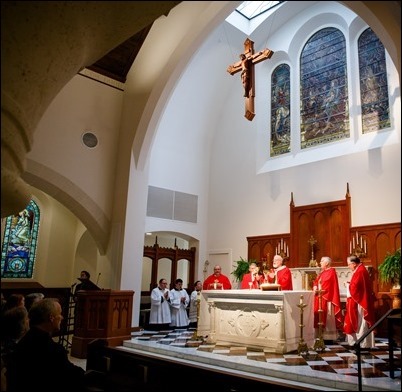 Sunday, I was very happy to celebrate the annual Red Mass sponsored by the Catholic Lawyers’ Guild of the Archdiocese of Boston. 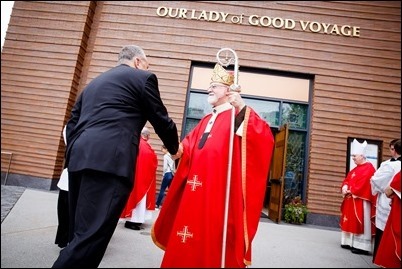 This year, our Mass was held at the new Our Lady of Good Voyage Shrine in the South Boston’s Seaport District. 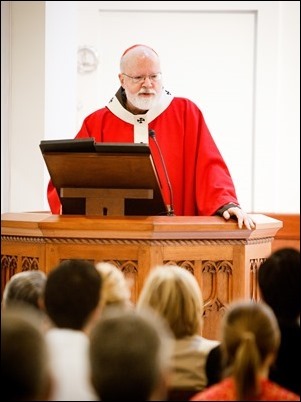 Our Gospel for the Mass was the story of the Good Samaritan and, in my homily, I built on that theme to address the question of immigrants and refugees. 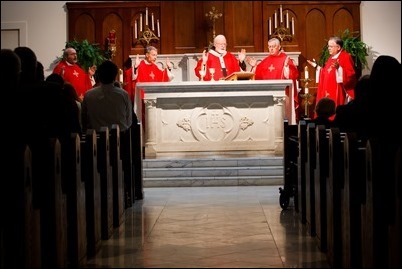 The Red Mass is a venerable tradition in our Church — particularly in England, France and the U.S. — the Mass of the Holy Spirit with red vestments and the red judicial robes of the judges and barristers. I am from a tribe of lawyers. We have about a dozen in my family — some would say that the legal profession is a logical choice for the descendants of Grace O’Malley, the Pirate Queen who raided the British ships and then spoke to Queen Elizabeth I in Latin. 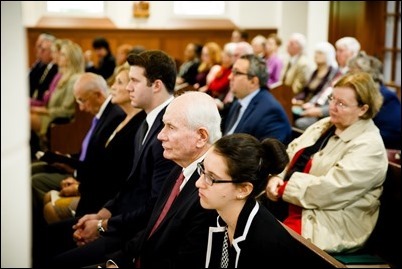 We gather to invoke God’s blessing and guidance on all those involved in our justice system. Every day you grapple with moral, ethical and legal problems that have a huge impact on the quality of life of our people. 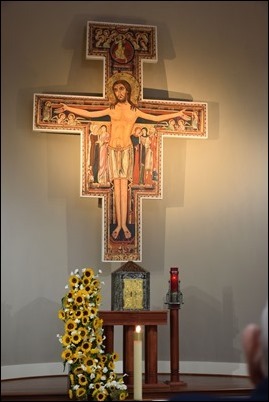 We pray that your faith will help you to discover and embrace the values that will enhance your efforts to build a more just society, where justice and mercy, where truth and the dignity of the human person, are always paramount. I lived in our nation’s capital for 20 years. I always looked forward with anticipation to a contest held by the Washington Post that reported on who received the most parking tickets in the District of Columbia during the previous year. It was invariably the same winner: the Russian embassy. Those days were the height of Cold War and “Washington’s Finest” never missed an opportunity to ticket someone from the “Evil Empire.” With the demise of the Cold War and the installation of cameras, the old contest has been relegated to the trash bin of history. I raise it now because it is impossible to begin to understand the parable of the Good Samaritan without realizing that in the time of our Lord there was a cold war between the Jews and the Samaritans. If Jesus had told this parable in 1970, maybe the hero would have been a Russian diplomat. The point is the parable was quite shocking to the original audience. The other interesting aspect of this, perhaps Jesus’ most well-known parable, is that the story is actually Jesus’ response to a lawyer’s question. The amazing thing is that a lawyer usually does not ask a question unless he knows what the answer is going to be. 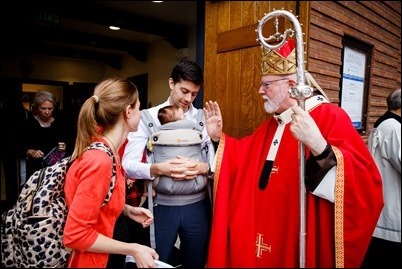 The query “Who is my neighbor?” elicits this stunning response from Our Lord. An important test case before us is the contemporary debate in our country and beyond about responding to the immigrant crisis. The immigrant, as both the stranger and the needy neighbor, is almost too visible to need commentary. The parable of the Good Samaritan speaks to us as a country and Church in quite specific terms. The immigration crisis is not a simple problem, but it also is not a question that can be reduced to numbers, statistics, or even one-dimensional arguments about security issues. Statistics and security concerns can help us understand part of the meaning of immigration policy, but they do not deal with deeper moral, legal and religious dimensions of these human questions. The immigration question today is empirically complex and also new in its scope and dimensions. Throughout human history, people have moved across states, nations and regions. But, today they move in unprecedented numbers, often seeking to escape conflict and chaos in their home countries and also seeking to fulfill their dreams. But, the movement also is the result of a globalized world that is tied together by communication, technology and mobility. In a global world, ideas move, money moves, goods move and people move in unprecedented numbers. In a world of over seven billion people and vastly different political and socio-economic conditions, people will and do move. Some of those moving are immigrants, others are refugees; together they make up the migration crisis today. Pope Francis is a singular voice on the global migration issue. 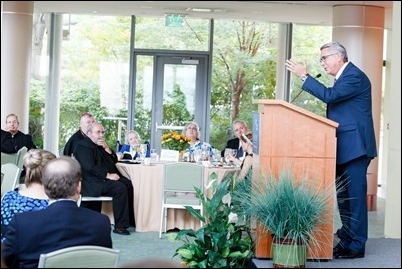 Using his unique office and his deep commitment to social justice, the Holy Father calls the Church and the world, by word and deed, to understand this issue in religious and moral terms. On September 27, during the weekly audience at St. Peter’s, the Pope called for a global response to this global challenge. 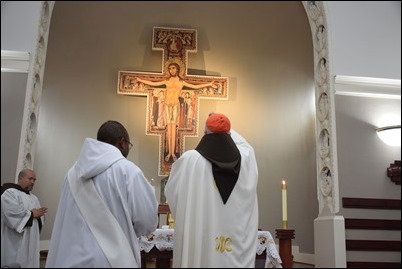 The Holy Father calls this initiative “Sharing the Journey” and has invited the Church throughout the world to address this critical question with the compassion and clarity of the Good Samaritan. Sharing the journey means welcoming strangers and meeting their human needs; it also means assisting them in their integration to a new home, whether that be temporary or permanent. 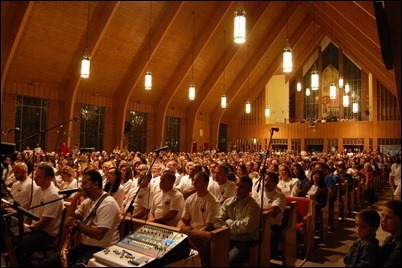 With regard to the immigration crisis, the Church in the United States holds a unique position politically, economically and diplomatically. 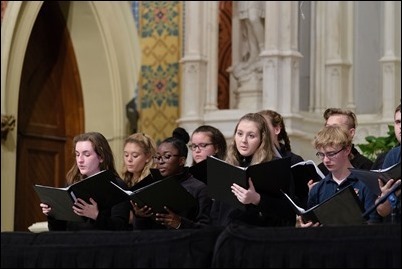 There is particular significance to how we address the Holy Father’s call within our borders and in the wider international arena. 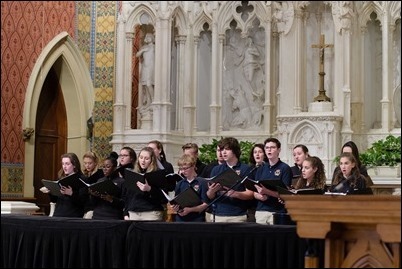 As our nation debates the multiple levels of immigration policy, the Catholic Church brings two themes to these national decisions. 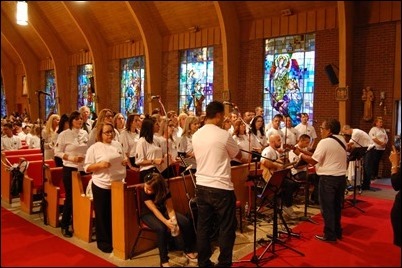 First, the fact of our history as an immigrant Church and our experiencing new waves of immigration in many dioceses. The immigrants and refugees we serve come from a wider range of countries than our 19th- and 20th-century experience, but the challenges facing those coming today are not decidedly different than in the past. Our immigrant history, past and present, should help us to address this national question. 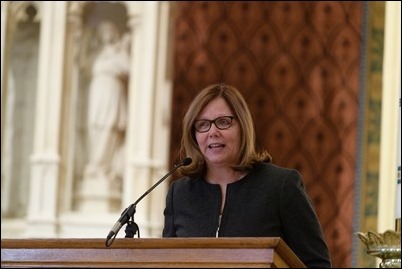 Our history is complemented by our teaching; immigrants are not simply statistics, they are persons, each created in the image of God and each possessed of basic human rights, both of which call for the response to today’s stranger in need. The world and this country need Good Samaritans today. A Catholic conception of the immigrant and refugee crisis must join political and legal complexity with our moral vision and the lessons of the parable of the Good Samaritan. There are several particular issues before our country at this time. An issue of immediate concern is DACA, the short-hand for Deferred Action for Childhood Arrivals. President Obama initiated this program by Executive Action; President Trump has threatened to end it in March 2018 if Congress fails to provide an acceptable solution. Recently, the President has set forth terms for an agreement which would make legislation very difficult to pass in a divided Congress. 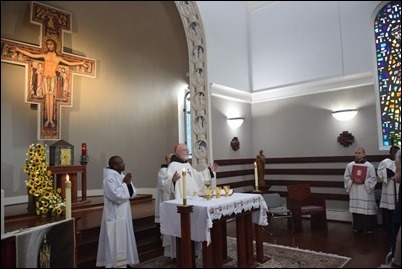 The Catholic Bishops of the country have strongly resisted any elimination of this program because of the immense human damage such an action would produce. DACA protects young men and women brought here illegally in childhood and who now have lived almost all of their lives in the United States. In some ways, these young people fulfill what President Trump has said he wants of immigrants: those who can contribute productively to our national life. The DACA youth, “The Dreamers” as they are often called, have lived here and pursued an education and are productive citizens in the economy, many serve in the military. By any reasonable standard, they deserve to be counted among the citizens of this land of immigrants. With regard to refugees coming to our country, we need a clear definition of what it means to reduce from more than 100,000 to 55,000 the number of refugees our country will accept each year, as is proposed by Executive Order. These are people who are adrift in rafts in the Mediterranean; they are refugees from countries at war with severe economic and political problems; they are children from violent, gang-ridden cities in Central America. As a country we are not obliged to or able to solve the refugee crisis alone. We can, should and do need to set limits. But, a 50 percent reduction in the number of refugees we will accept, particularly at this point in history, will surely fail the test of the global Good Samaritan. As Americans, we can and should do better than that. We would benefit from a public debate on this question. With consideration of the Catholic community in the archdiocese, I cannot fail to highlight a decision the Administration will face by this coming January concerning temporary status for 50,000 Haitians. 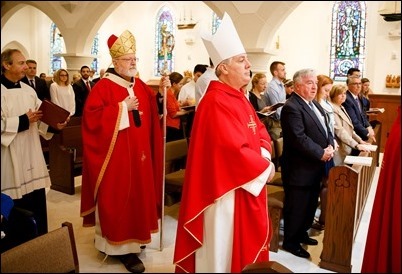 These are people, in the archdiocese and beyond, whose temporary visas expired near the time of the Haitian earthquake in 2010. They were granted a temporary extension which will expire in early 2018. Conditions in Haiti continue to be extreme; both compassion and charity will be best served by allowing these people to extend and continue their stay in our country and our communities. 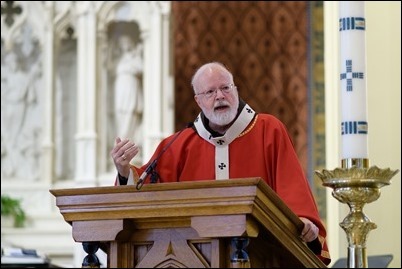 This homily could be offered to many people in the Church. 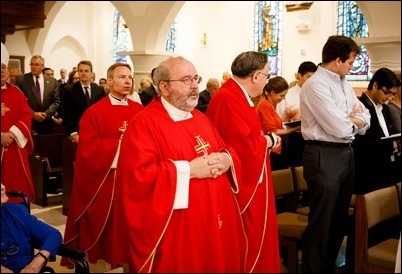 Today I am delivering it here at the Catholic Lawyers Guild Red Mass for a specific reason. For those, like myself, who have long been engaged in the public debate about what this country’s policy on immigration and refugee assistance should be, I have to acknowledge that I find much of the public discussion of these questions lacking in civility and content. The immigration system is broken, our political leaders are deeply divided and our public discourse often demonizes immigrants, even when they are children. At this time we need voices of intelligence, wisdom and courage from our civil society, our professions, our universities, our churches, in order to shape the public narrative on these questions. The legal profession has never been only a purely legal voice; it has also been a moral voice in society. We need your voice to enhance the public vision on a question that could not be more urgent than caring for the stranger and the needy neighbor. 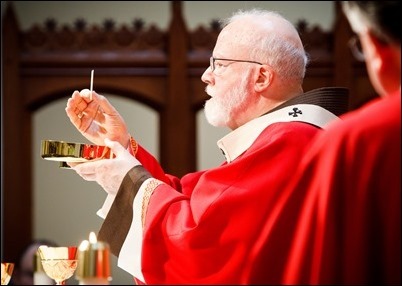 Thank you for your dedication and commitment to this work of the Church. And so, like the lawyer in the Gospel who asks who is my neighbor, I hope that you will reflect on the powerful message of this famous teaching of Jesus. 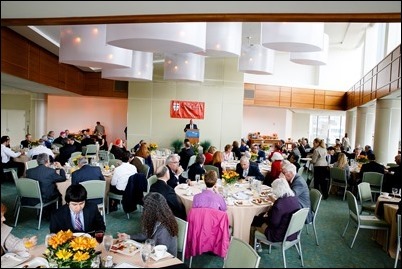 Every year, following the Mass, the Lawyers’ Guild gathers for a luncheon attended by a large number of lawyers and judges, as well as law students from a number of local universities. 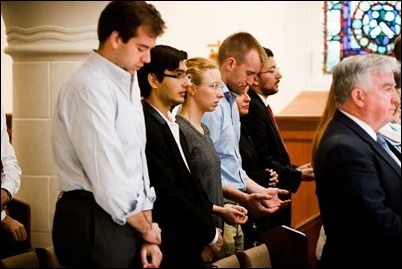 This year, we were joined by groups of law students from Harvard, Boston College and Suffolk University. 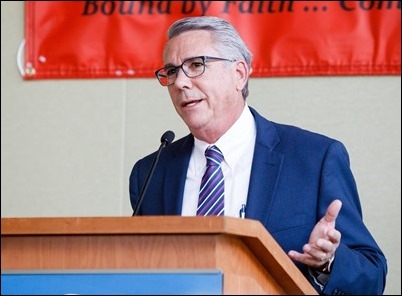 Our keynote speaker for the day was Jim Wright, president and CEO of the Station of the Cross Radio Network. 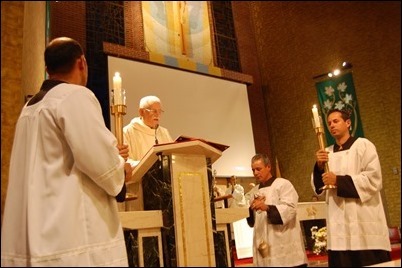 He gave a very beautiful witness of his own commitment to evangelization through the medium of radio. 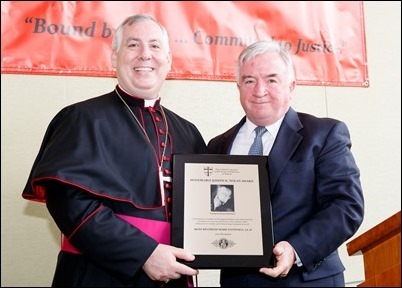 Also during lunch, they honored Bishop Mark O’Connell with the Judge Joseph Nolan Award. 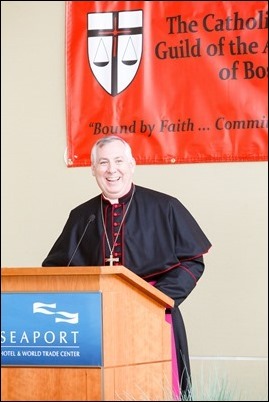 Bishop O’Connell had been the chaplain for many years, and now their current chaplain is Father Chris Paladino. 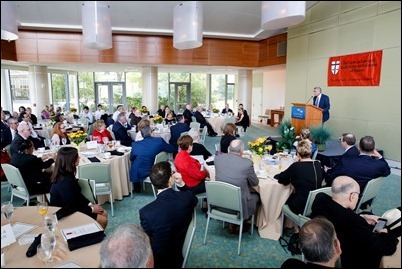 We are very grateful to Michael Gillis, the president of the Lawyers’ Guild, and vice-president Maura Doyle for organizing this wonderful gathering and, of course, all that they do throughout the year with the Guild. 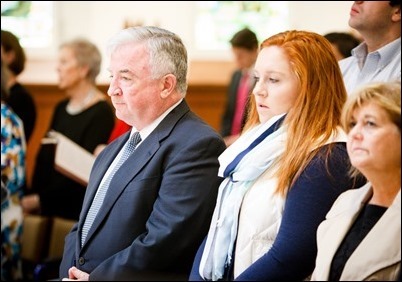 On Monday I went to St. Mary’s Church in Winchester to celebrate the funeral Mass of Father Richard Messina. 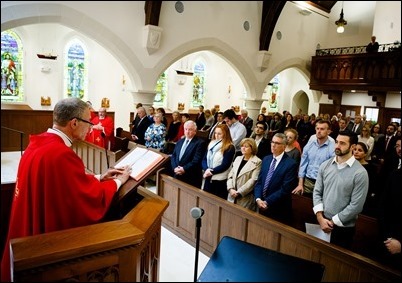 Father Messina had been pastor there for many, many years and, although he was retired, he still maintained a very close association with the parish. 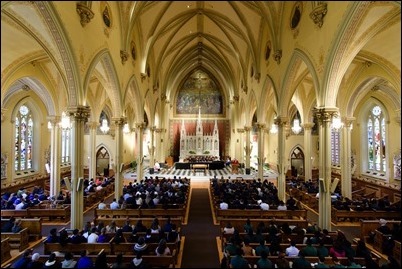 It was very clear from the large crowd at the Mass that the people of St. Mary’s had a great affection for him. 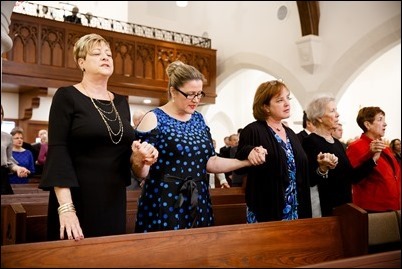 It was a very moving and uplifting experience, and a beautiful sendoff for a priest whose ministry has made such an impact on so many people’s lives. 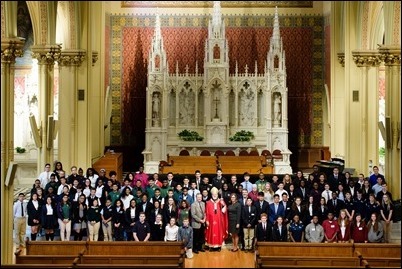 Tuesday, I went to Our Lady Help of Christians Church in Newton for the Catholic Schools Foundation’s Lynch Scholars Mass for high school students. 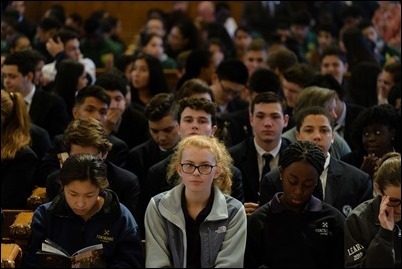 There were at least 500 students there from various schools throughout the archdiocese, along with our Superintendent of Schools Kathy Mears and Michael Reardon, the president of the Catholic Schools Foundation. 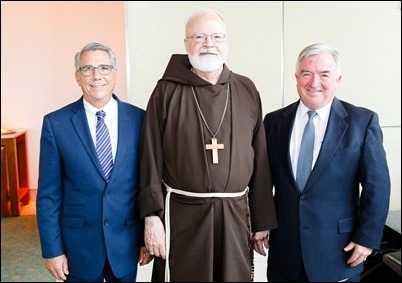 It was a great joy for me to be together with them and celebrate this wonderful achievement as well as to thank the Catholic Schools Foundation for the very important work they do helping families to afford a quality Catholic education for the children. 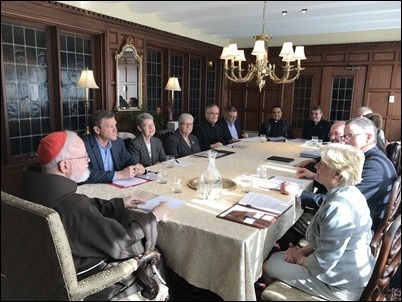 Later that day, back at the Cathedral, we held a meeting of our Pastoral Planning Advisory Board. This very important board is made up of a very dedicated group of laypeople, deacons and priests who have been conducting studies on the effectiveness and implementation of our Pastoral Plan. 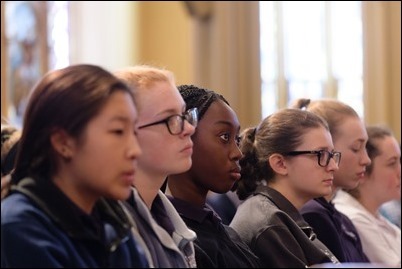 They wanted to share their findings with me, and they will also eventually be sharing those findings with the Presbyteral Council and the priests of the archdiocese. We are very grateful for the many, many hours of work that they have dedicated to this very important task. 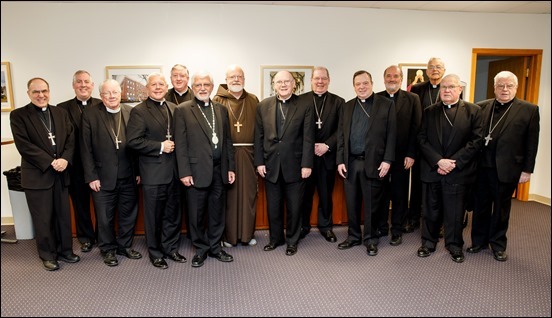 The following day, Wednesday, we held one of our regular meetings of the bishops of the Boston Province at the Pastoral Center. 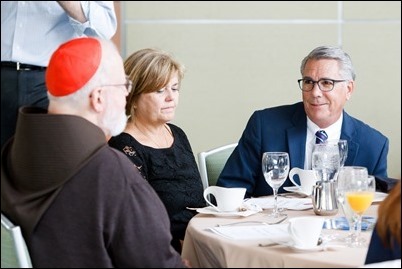 This is always an occasion for us to prayerfully consider candidates for the episcopacy as well as discuss different challenges we face in the region and policies that we want to share. 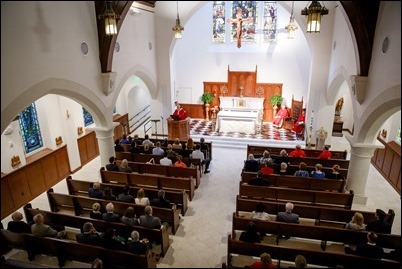 This time, we particularly looked at how we can efficiently and expeditiously share information when priests from the region visit another diocese to celebrate the sacraments, such as a family funeral or wedding. We also heard a report by Msgr. 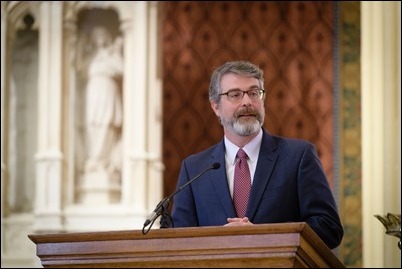 James Moroney, the Rector of St. John’s Seminary, on all the great work they are doing there. 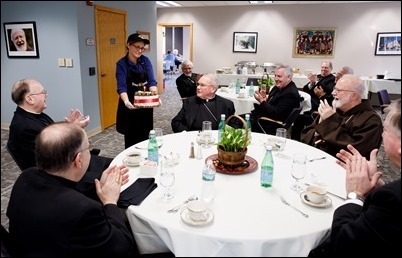 That day also happened to be Bishop Walter Edyvean’s birthday so, at our lunch following the meeting, we presented him with a cake and sang happy birthday. 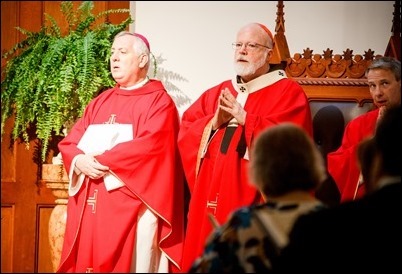 We were so happy to be able to share the occasion with him as part of our regional bishops gathering. 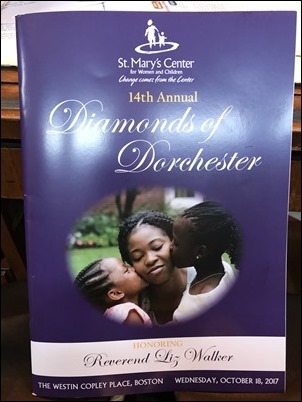 That evening, I attended the Diamonds of Dorchester Gala to support the St. Mary’s Center for Women and Children. 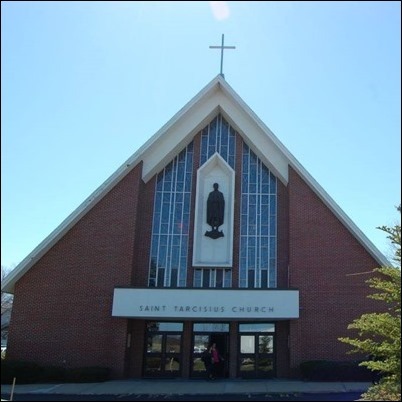 We are very proud of the work that is done at St. Mary’s Center, under the direction of Deirdre Houtmeyers, serving families who have been homeless and helping prepare women, particularly single mothers, to find employment and permanent housing and to continue their education. 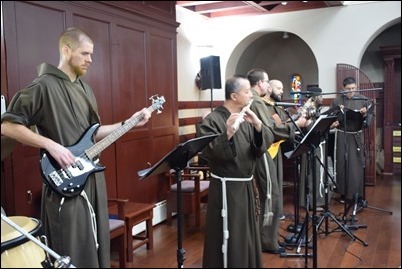 The center was originally a part of St. Margaret’s Hospital (many of those in attendance were born in that hospital) that was founded by the Daughters of Charity more than 100 years ago originally to serve as a home for unwed mothers and orphans, but today serves homeless families. 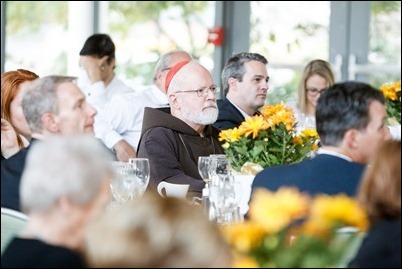 At the dinner, they were pleased to announce that Amazon has given them $1 million grant to help advance their work. 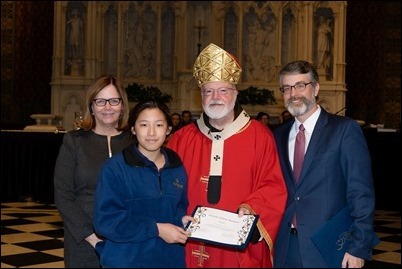 During the evening they honored Liz Walker, who is a local Presbyterian minister and leader in the community who has always been very supportive of the work of St. Mary’s Center. She has started a school for girls in the Sudan and does much to serve social needs of people in the city of Boston. I was so pleased at this fine choice of honoree. 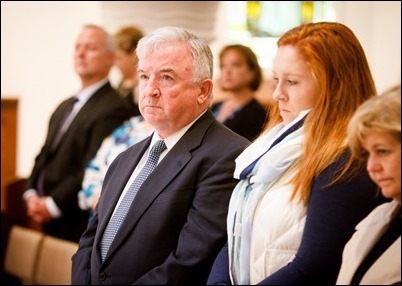 Thursday morning we traveled to Worcester to attend the funeral Mass for Msgr. Moroney’s mother, Marguerite Moroney. Along with her friends and family, a very large number of bishops and priests from the region also joined us for the Mass. It was a lovely tribute to his mother. 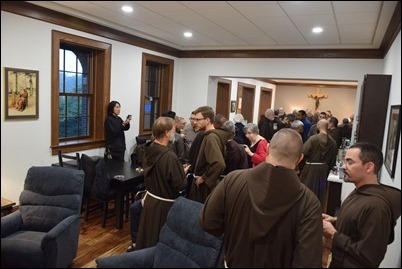 Thursday evening, at St. Mary’s Parish in Waltham, we hosted our annual dinner for the FOCUS Missionaries working in the Archdiocese of Boston. We are so grateful to Father Dan Hennessey for organizing the dinner and for the presence of a number of our university chaplains and Msgr. Bill Fay, our director of Campus Ministry. We had a meal together, after which a number of the missionaries shared their experiences working at Harvard, MIT, and Boston University. It was a very encouraging and joyful evening. 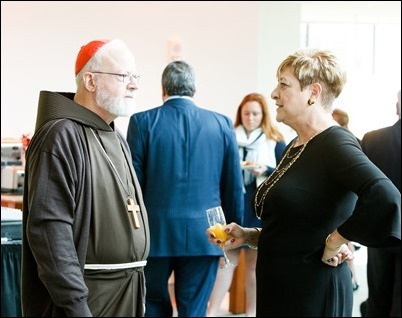 We are very grateful for the presence of the FOCUS Missionaries in our archdiocese and for the wonderful work they do promoting faith formation and empowering leaders on our local campuses. 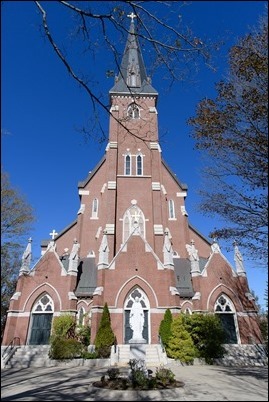 I also want to add that we are very grateful to St. Mary’s Parish for hosting this gathering and that we join our prayers to those of the parish in praying for the speedy and complete recovery of their pastor, Father Michael Nolan, who is facing some health challenges.